They will be collecting supplies of water, canned food, medicines and first aid kits until September 17th. 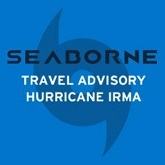 Due to the impending passage of Hurricane Irma, travel throughout the islands will be affected over the next several days. The brand-new responsive website offers a more user-friendly way to book flights, manage bookings and corporate account, and more. Seaborne Airlines will operate four non-stop, round trip ﬂights per week from San Juan to Antigua from July 21st, 2017. Seaborne Airlines has made travel in the Caribbean more flexible with Mobile Check-In and Boarding Passes along with an expanded flying schedule. 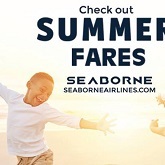 Give the gift of travel this holiday season with Seaborne Airlines. Call their reservations department and they will be happy to create a special certificate for your loved ones.